Custom designed personalized laser engraving for one pair of drumsticks! 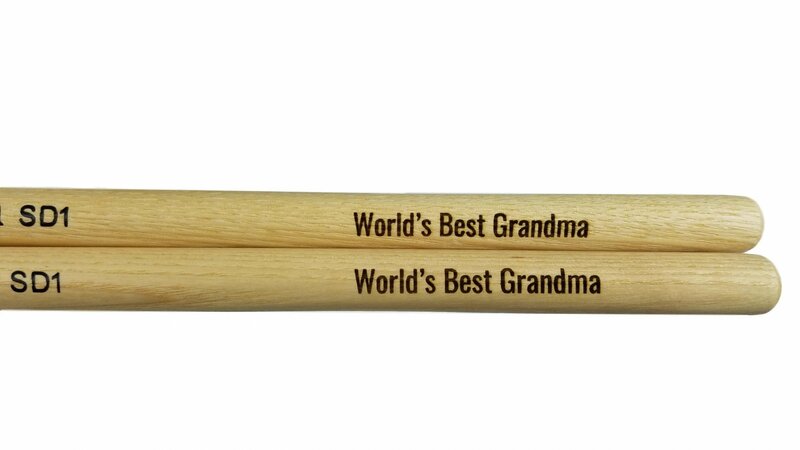 Order any in-stock pair of drumsticks, or mallets, and we can Laser your custom text and font selection on them! Font options are Google Fonts. You can try out your Text and Font combination in Google powered web apps. Default engraving location is following the brand information - as seen in the images. Local customers are welcome to purchase engraving services in the Lexington store or online. Contact miles@musiciansupply.com with questions or to request a digital proof. Satisfaction is Guaranteed! If you aren't super excited by how your engraving turned out we will reformat and redo it free of charge.